This is another custom in my "Blue Shirt Legion" project. 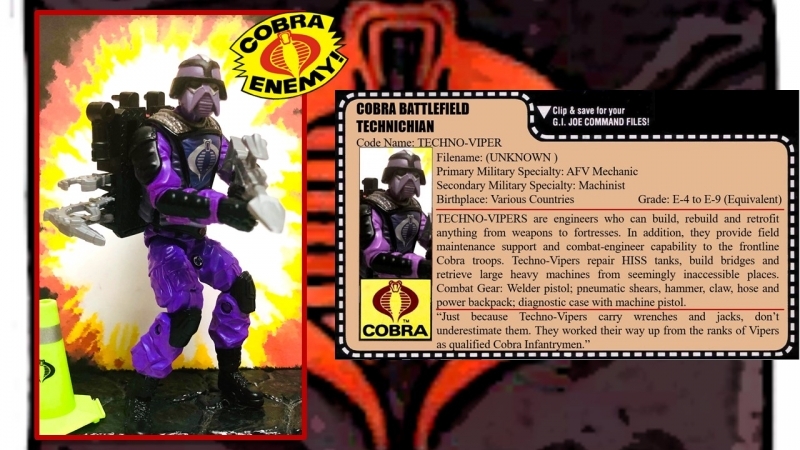 Since the 50th 3pk Saw-Viper was basically a purple Cobra Shocktrooper, I thought this would make the perfect base for an updated Techno-Viper. I wasn't worried about the different shades of purple since the helmet would match the vest anyway. I kind of like the two-tone purple colors. This is a simple parts/accessories swap. 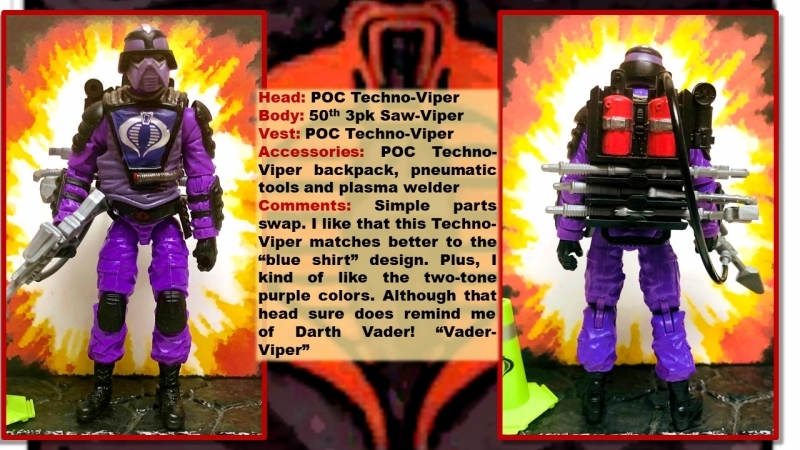 I always thought that the Techno-Viper looked a little too much like Darth Vader! Maybe that's the inside joke with all the other Vipers.